ICYMI: the 2018 Governors Ball lineup hit the interwebs today, and let's just say it's a doozy, ladies and gentlemen. Featuring headlining sets from Eminem and Jack White, the three-day music festival also secured performances from crowd favorites like Travis Scott, Yeah Yeah Yeahs, Halsey, N.E.R.D., Khalid, and Post Malone. Other acts that made the bill? CHVRCHES, Lil Uzi Vert, Sylvan Esso, Cut Copy, Maggie Rogers, 6LACK, 2 Chainz, Third Eye Blind, Kelela, Japandroids, Brockhampton, and Manchester Orchestra. They also decided to keep fans on their toes by leaving one of the artist's names blacked out on the poster. Interesting, very interesting. 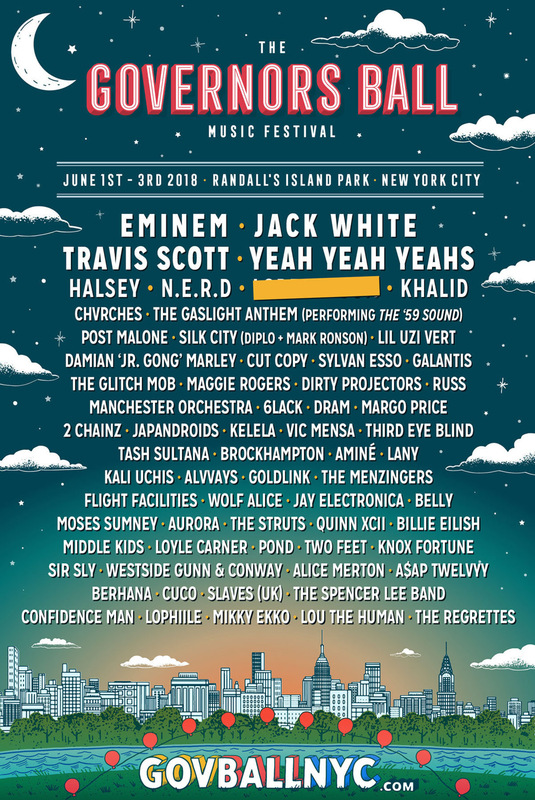 It's all going down on June 1 through June 3 again on Randall's Island Park, and this announcement already has music lovers counting down the days. Click here to get your tickets, which are available now on their site. 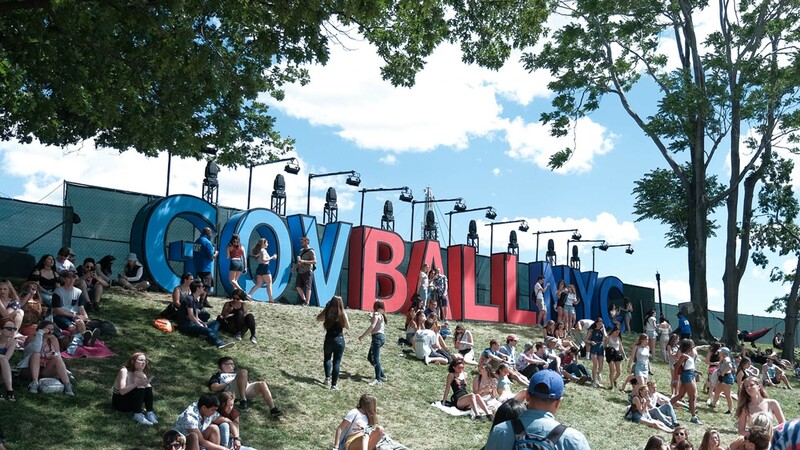 To get pumped for the eighth annual NYC extravaganza, check out our complete Governors Ball 2018 playlist below, then make sure to Track all the artists on Bandsintown!